It’s no surprise here that this year’s Best New Restaurant is Husk, Sean Brock’s fourth iteration of the Southern restaurant with an eye towards local ingredients. 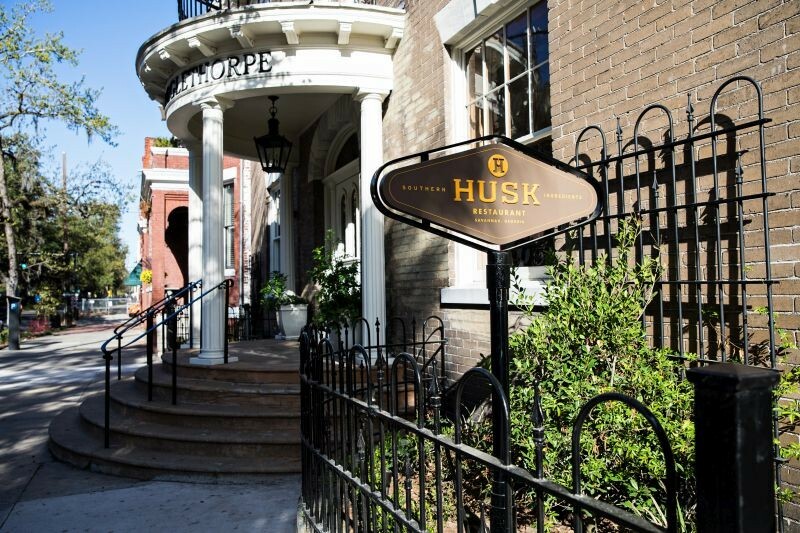 While it’s easy to claim that Husk’s restaurant style is changing the culinary scene in Savannah, the team behind it doesn’t jump to that conclusion. Husk’s menu changes daily to reflect the region’s current provisions. Past menus are archived and include inspired local dishes like Bear Creek Farm beef, Jerusalem artichoke, and shiitake mushrooms. Featured suppliers include farms in the region, like Swampy Appleseed, Hunter Cattle, and Handlebar Farm. With Husks already existing in Charleston, Nashville, and Greenville, the Savannah restaurant sets themselves apart from the others with a different layout. After parting ways with their original chef de cuisine, Tyler Williams, in April due to differing visions, Husk brought in their Nashville sous chef Andrew McLeod to run the kitchen in the interim. “In Savannah, we have been very challenged with the recruitment of culinary help, but that’s a nationwide crisis and is evolving into a significant issue for our industry,” Howard admits. Just last week, Husk began offering lunch service from 11 a.m. to 2 p.m. Monday through Friday. Of special note is the Husk Burger, which Chef Sean Brock says might be the best burger he’s ever made. For now, Howard and the rest of the Husk team are enjoying the win.